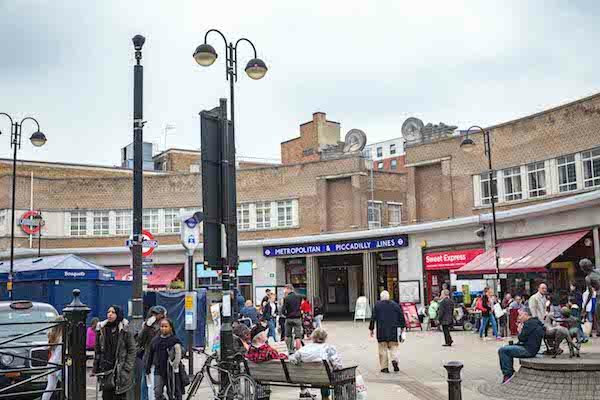 Invictus, the latest ruggedised PTZ camera from leading UK CCTV manufacturer 360 Vision Technology, has been installed against a tight deadline to cover a major public event in a north London Borough. Specified for installation by DSSL Group, the new high-performance 360 Vision Technology Invictus cameras were installed in record time, to complete the upgrade of the London Borough’s Public Safety camera system in time to ensure the safe passage of a major public event – as well as to play a continuing role in the borough’s mix of public safety measures. Talking about the new town centre installation, Aaron Stephens, Director at DSSL Group commented: “From the initial decision to specify Invictus cameras for the borough’s High Street and surrounding areas, all 22 Invictus units in the first phase were delivered, installed and commissioned within four weeks. “We like the authoritative appearance of the new Invictus camera, similar in style to 360 Vision’s Predator camera, but unlike imported speed domes that look less public safety and more commercial, Invictus looks very much the part in the town centre streets. Versus the use of domes on swan necks that inherently introduce a visual blind spot, Invictus uses an upright mount to provide unhindered 360-degree coverage. In addition and again unlike a dome camera, Invictus can look both up and down. Jordon went on to explain that: “The cameras’ pre-set factory default night-time settings are ideal for effective colour video at night. Invictus copes incredibly well with the town centre’s mix of lighting conditions and shadow areas, providing excellent ‘colour at night’ imaging – whereas in the same locations, other existing HD cameras on the system had switched to monochrome. Commenting on the installation, Adrian Kirk, Director at 360 Vision Technology enthused: “We are proud that the new Invictus ruggedized PTZ camera was selected for such an important town centre project and especially as the cameras were commissioned in time to provide security and safety surveillance coverage for the major public event. Manufacturing CCTV cameras in the UK since 2002, and this installation marks the introduction of 360 Vision’s next generation ultra-low light imaging technology – featuring incredibly detailed night-time HD quality colour images. “In addition, we couldn’t have asked for a better installation to showcase Invictus. DSSL Group’s attention to detail is phenomenal; they clearly take great pride in their workmanship. From the way they have contained the cable, through to the layout, neatness and set-up of system equipment, including the column equipment cabinets, the engineering team at DSSL Group really deserve great credit for their professionalism.